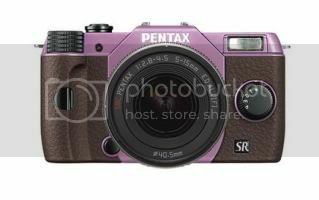 Just a quick post today... Pentax is letting you customize the color of their Pentax Q10. You get to choose from 20 different body colors and 5 different grip colors (I like lilac and brown.) According to LikeCool.com they also have some Evangelion Q10 limited edition colors (which I couldn't find on the Pentax site yet.) But I think I like the custom color option better. The price tag is $599 - so I won't be purchasing this anytime soon - but it still is lovely and I had to share it with any of my photography loving readers.